Description: Contains the main soundtrack to the SNES game of the same name, plus three special MIDI arrangements. Music composed and arranged by Taro Kudo, and performed by Konami Kukeiha Club. 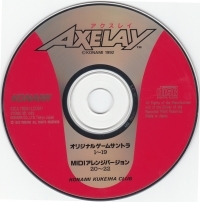 Additional music by AKI, and remixing by Masanori Adachi. 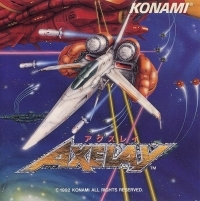 Soundtrack published by Konami and distributed by King Record Co., Ltd.. 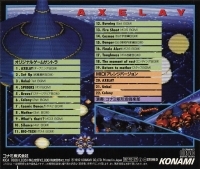 This is a list of VGCollect users who have Axelay in their Collection. This is a list of VGCollect users who have Axelay in their Sell List. This is a list of VGCollect users who have Axelay in their Wish List.